It is not uncommon to see parents of children with asthma to feel so worried when their children participate in sports. The truth is, a significant number of sports-oriented children who are asthmatic do just fine even at a competitive level. On the other hand, there are some kids who suffer from sports-induced asthma – a condition in which a child suffers from temporary narrowing or bronchoconstriction after engaging in vigorous physical activity. Usually, these are the children who have poorly controlled asthma. Sports-induced asthma is more common in children and young adults because of their increased tendency to take part in spontaneous physical activities. If your child is asthmatic, remember that it is extremely important to identify whether or not your child has this type of asthma. With the help of spirometry and exercise challenge tests, your doctor can determine if your little one is physically fit to participate in sports or any type of exercise. A child is said to have sports-induced asthma when there is a fall in forced expiratory volume in 1 second (FEV1) of 10 to 15 percent or a fall in peak expiratory flow rate (PEFR) of 15 percent after any form of exercise. Once the diagnosis is made, you and your doctor should make an effort to treat your child so that he or she can attain normal levels of activity. Also, it’s very important to understand that asthma, if well controlled, will not prevent your child from taking part in any kind of sports. Sports-induced asthma is also known by other terms such as activity-induced asthma, exercise-induced asthma, exercise-induced bronchoconstriction, and exercise-induced bronchospasm. More often than not, an asthmatic child can cope better and experience fewer asthma episodes if they are physically fit. Unfortunately, physical activity may trigger asthma symptoms in some individuals. Asthma control and management can be achieved by both non-pharmacological and pharmacological treatment. Since it is the nature of young children to play around all day every day, it is necessary for parents with asthmatic children to have an extensive knowledge of exercise and medication programs that can be used to prevent and treat sports-induced asthma. Non-pharmacological treatment of sports-induced asthma varies depending on several factors although generally it includes both aerobic conditioning and warm-up exercises. The goals of aerobic conditioning are to improve fitness, decrease difficulty of breathing associated with physical activity, and improve the ventilatory capacity of patients. The goal of warm-up exercises, on the other hand, is to lessen or better yet, eliminate bronchoconstriction in asthmatic individuals who participate in exercise. Experts recommend 10 to 15 minutes of stretching or light exercises before taking part in any sport or physical activity. When it comes to pharmacological treatment of sports-induced asthma, prevention is the key. Since inflammation plays a crucial role in the pathophysiology of asthma, this is typically the first target in its management. The primary component of treatment is controller therapy. Here, inhaled corticosteroids are used to decrease inflammation and hyperresponsiveness of the airways. Cromolyn, nedocromil, long-acting beta-2 agonists, theophyllines, and leukotrienes receptor antagonists are some of the other additional controller medications that may be prescribed by the doctor. Unlike in the past, a significant number of children can now participate in sports because of the many advances in medical care of asthma. 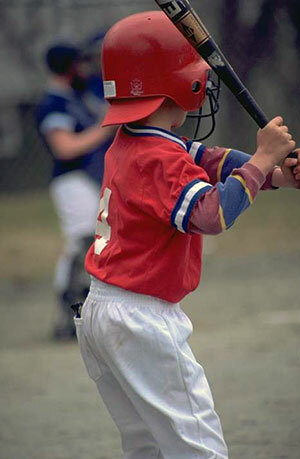 Today’s medical professional’s understanding of sports-induced asthma can help many asthmatic children play with ease. They can enjoy childhood without having to worry about asthma attacks in the middle of any sports activity. As a result, parents feel less anxious whenever their children take part in sports and feel more confident despite their child’s chronic lung condition.